We are pleased to announce that Beverley violin maker, Peter Hall, is joining in the New Paths festivities by opening his workshop to the public on Saturday 9th April. Members of the public will be given the special opportunity to see this craftsman at work. 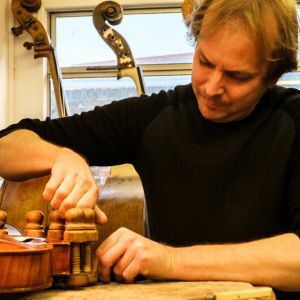 Peter will be joined by his students from the Yorkshire Stringed Instrument Fellowship in Harrogate who will demonstrate the centuries old art of violin making. Festival artists will be giving short informal performances throughout the day at Peter’s studio. Visit Peter Hall Violins on Norwood between 10am and 4pm to learn more about the craft of violin making and to enjoy some fun pop-up performances by festival artists.